Weekend Projects is a new series focused on manageable tasks you can accomplish on the weekends; helping you to declutter your stuff and simplify your life gradually and without overwhelm. The aim is to provide simple projects that can be achieved in a few hours over the weekend (nothing too tricky or taxing!) and easy to adopt habits for simplified living. It's likely you painted your home when you first moved in or at least gave the paint a refresh. This weekend, check the cupboard under the stairs or the shed outdoors; double check whether you have any of that paint left over. You don't need enough to repaint every room or even entire walls, a small amount will do. It will be enough to touch up little nicks, scratches, patchy spots, and dings in the paintwork. 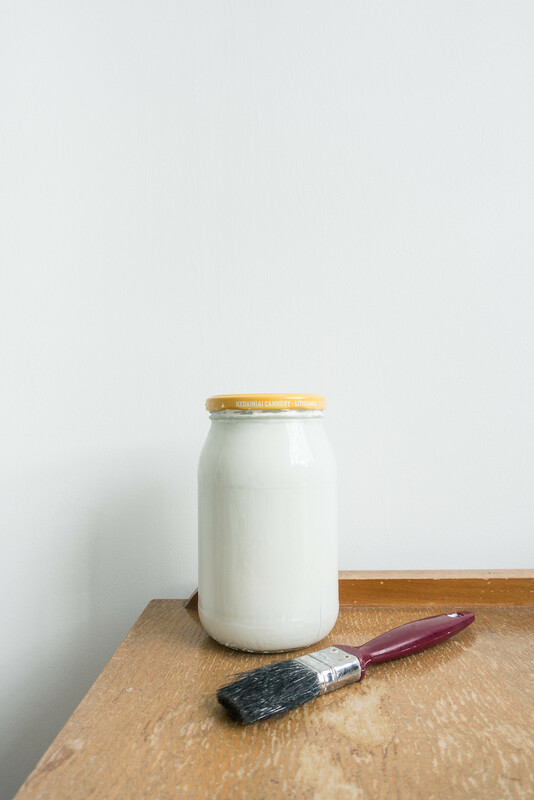 Check around the skirting boards, light switches, door hinges, and any place where you're likely to have worn away the paintwork. There's usually scuffs halfway down walls, just inside doors where when moving furniture you've bashed the wall, and high wear areas like in the kitchen where marks are likely to have accumulated. Give yourself a few minutes, because really that's all it should take, to make this tiny fix. It'll make a big difference, trust me. We keep an old pickle jar full of white paint in our utility cupboard. It gets pulled out whenever a patch on the wall is looking wishy-washy or a mark has stained the paint. It takes two minutes to touch up these little spots and it keeps the apartment looking fresh with minimal effort. Despite the rumors white paint is pretty easy on the upkeep. For your weekend project, you could repaint these tiny marks but you could also repaint an old dresser that needs some TLC; the door frame that's been bashed while moving furniture; around skirting boards, especially in the bathroom where things tend to get grubby quickly; over pipes, around light switches, and a sweep of the brush around skirting boards. 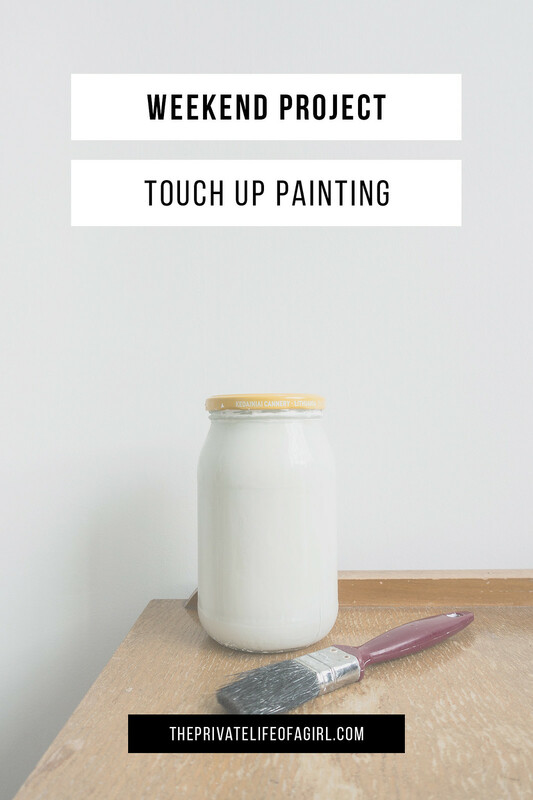 These little projects that only take a few minutes of your time to complete will make you wonder why you didn't do them sooner; it's a simple way to refresh your home and everything will look so much better.